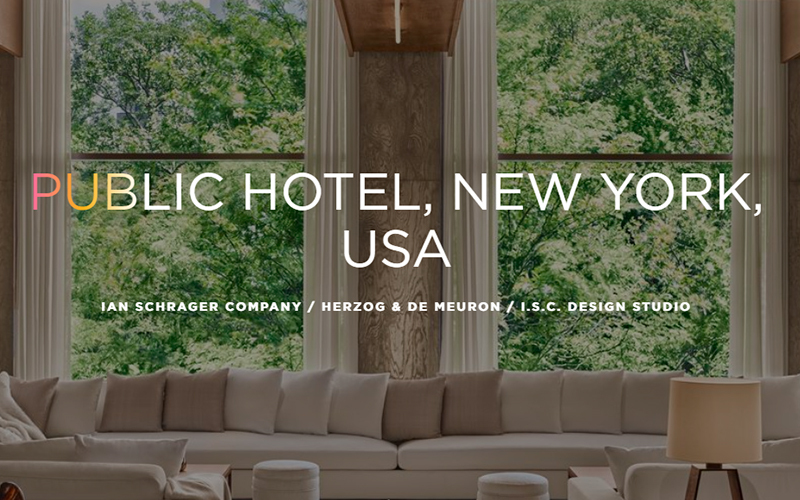 Located at 215 Chrystie Street in Lower East Side, Manhattan, Public hotel is a 376-key hotel designed in collaboration by DeSimone Consulting Engineers, renowned architects Herzog & de Meuron, Beyer Blinder Belle, and legendary hotelier Ian Shrager. The distinctive, cascading facade is an expression of the exposed exterior cast-in-place concrete and shingled columns used to frame the glass panels. The tower also includes private apartments, rooftop amenities, and landscaped terraces above the 17-floor hotel for a complete height of 26 stories. 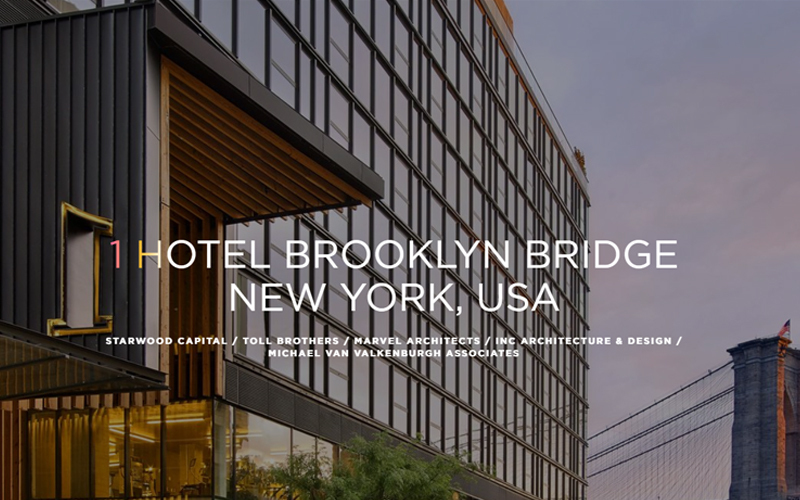 1 Hotel Brooklyn Bridge Park is the hospitality component of the surrounding Pier One development designed by DeSimone and Marvel Architects. Located in the waterfront community of DUMBO, Brooklyn, the development repurposes a long-vacant cargo wharf for both the 194-key hotel and a 106-unit residence. Both components are designed with a focus on sustainability and local material sourcing, drawing inspiration from the industrial heritage of Brooklyn Bridge Park.